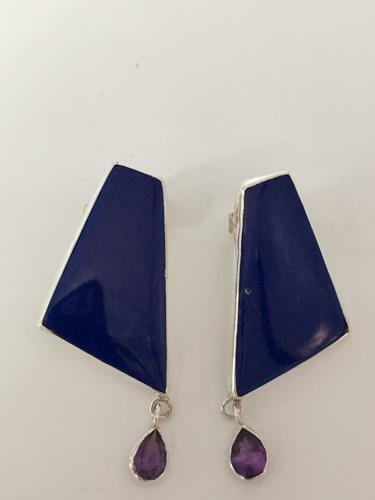 Lapis Lazuli triangles link to black and white striped jasper rectangles with pink tourmaline cabochons. 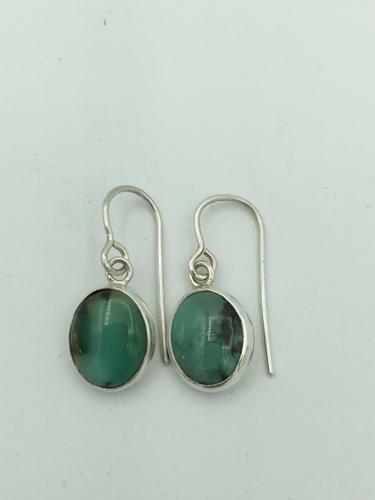 Set in sterling silver with posts. 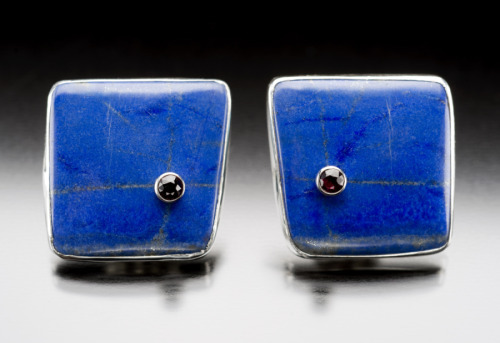 Rich red garnets sit on large Lapis Lazuli square earrings. Set in sterling silver with posts. 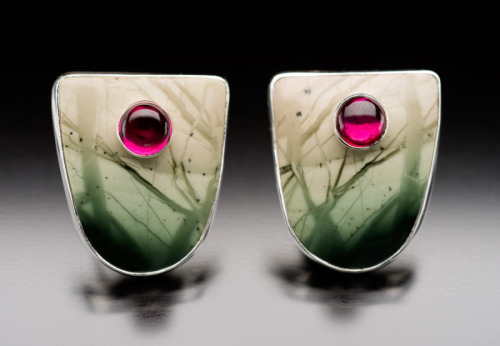 Ruby cabochon (lab-created) sitting atop Imperial jasper post earrings. Set in sterling silver. 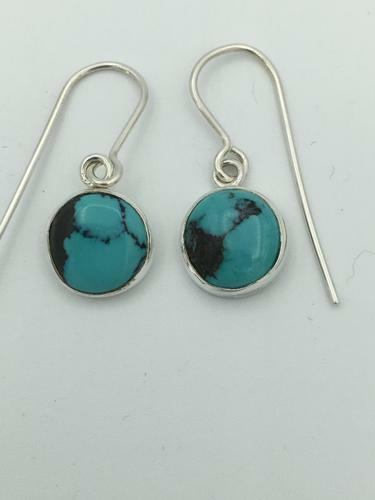 Natural turquoise set in sterling silver. They are more green than in the photo! Black Hyperscheen triangles have alternating stripes when the light hits it just right. Pinkish purple sapphire briolettes twinkle on gold wires. 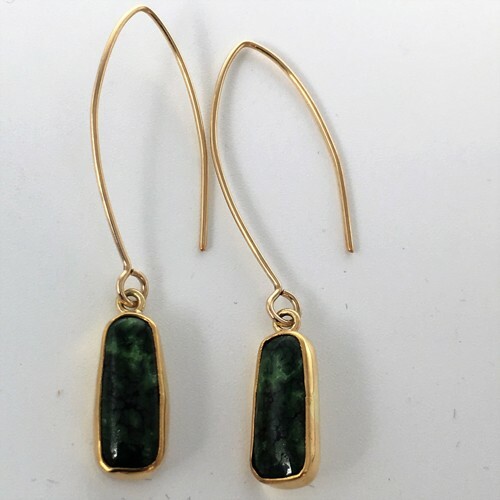 Deep green turquoise drop earrings are set in 18 karat yellow gold with 22kt gold bezels. 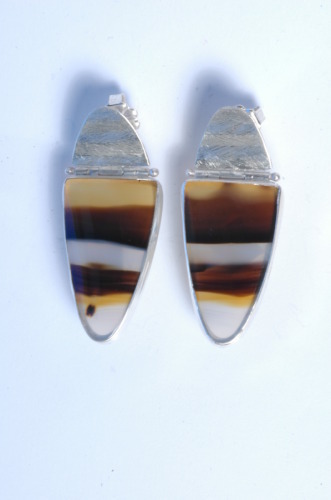 The stones are a quarter of an inch wide and just over a half inch long. 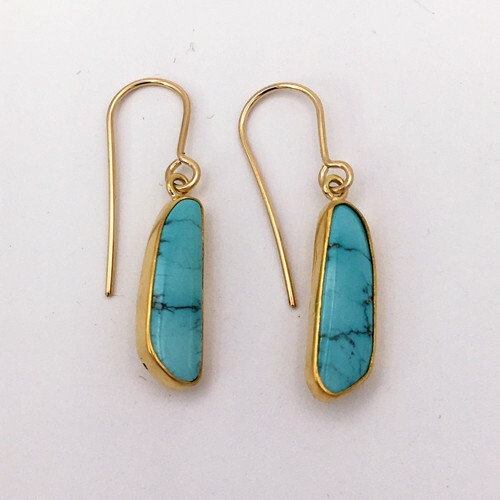 Robin's egg blue turquoise set in 18 karat yellow gold with a 22 karat bezel. 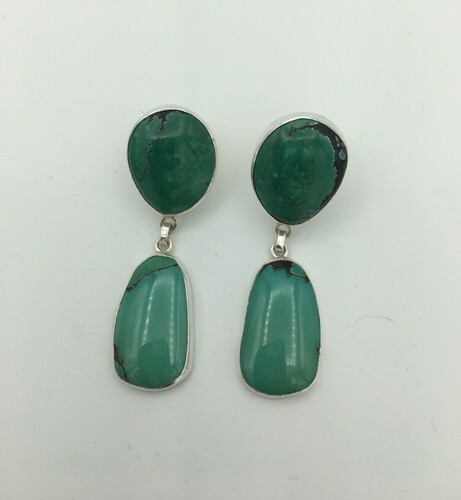 The stone is 3/4 of an inch long and 1/4 of an inch wide. 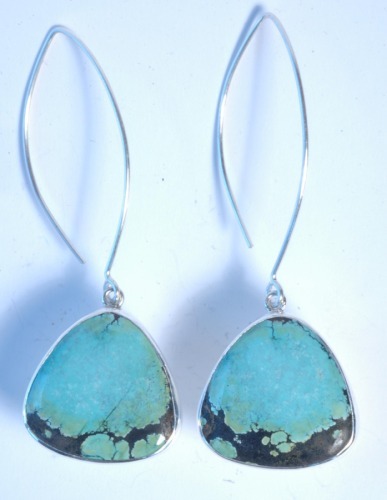 Blue turquoise with touches of golden brown and black is set in 18 karat gold with a 22 karat bezel. The stone is 1/2 inch long, and just over 1/4 inch wide. 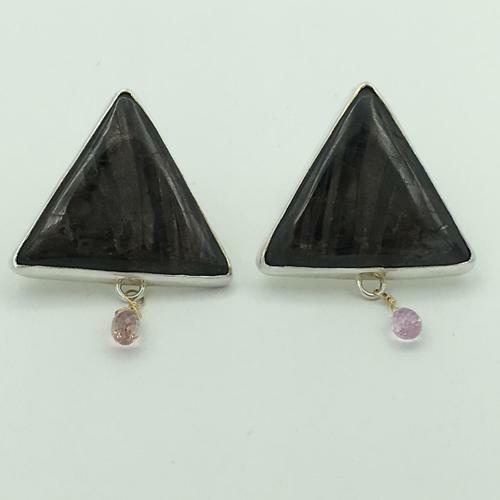 Beautifully dramatic stone in a petite package! 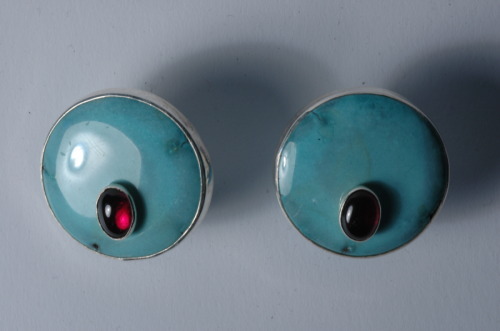 These little turquoise rounds are 12 mm in diameter, and move so nicely in their sterling settings! 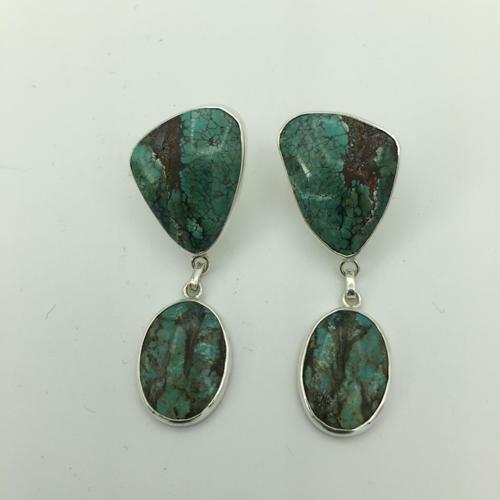 Small green turquoise ovals are 1/2 inch by 3/8 inch. They are set in sterling silver and move every time you do. 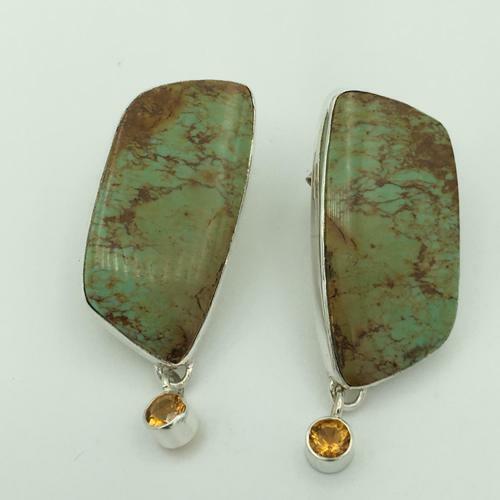 Pretty green turquoise has lovely gold and brown spots and highlights. The post is on the back of the top stone, and the bottom stone swings with your every move. 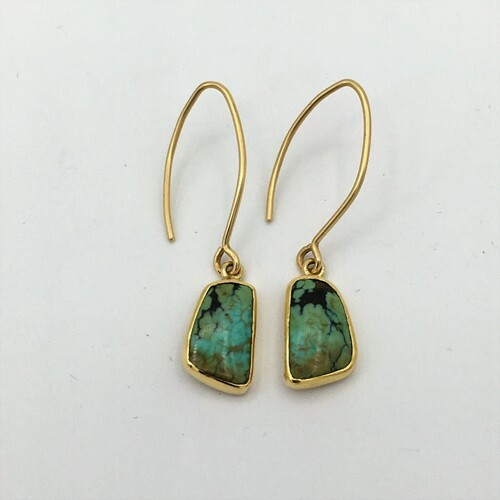 Soft green turquoise has lots of gold highlights, which are set off even more with the addition of a golden citrine swinging from the bottom of the earring. These would look stunning with red hair and green eyes! 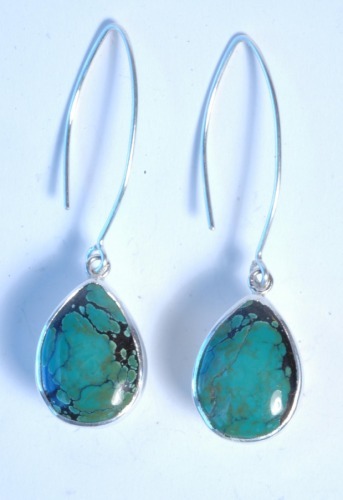 Dramatic green turquoise earrings are set in sterling silver. Two shades of the same green play very well together! 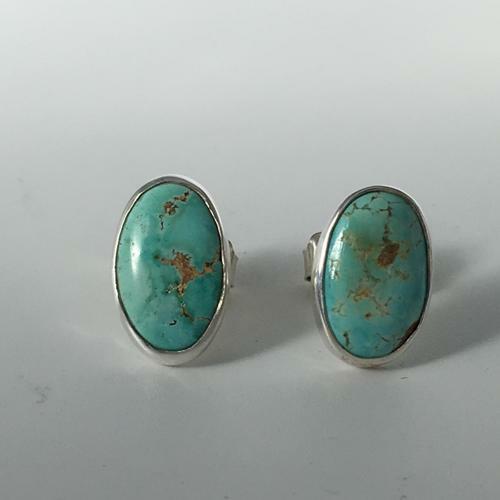 Soft blue turquoise ovals have hints of gold and brown. Pretty! These stones have character! 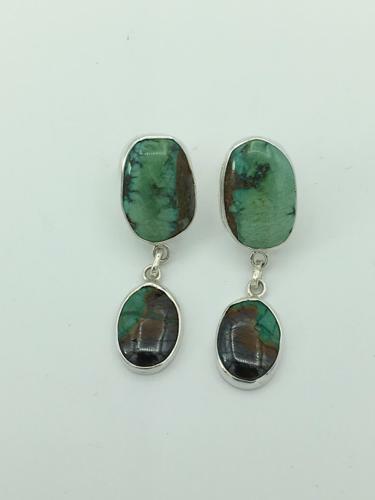 Green and brown turquoise is set in sterling silver. 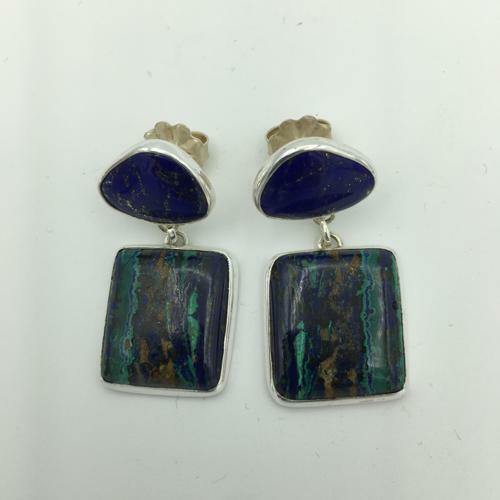 Deep blue lapis lazuli hovers over squares of azurite /malachite. 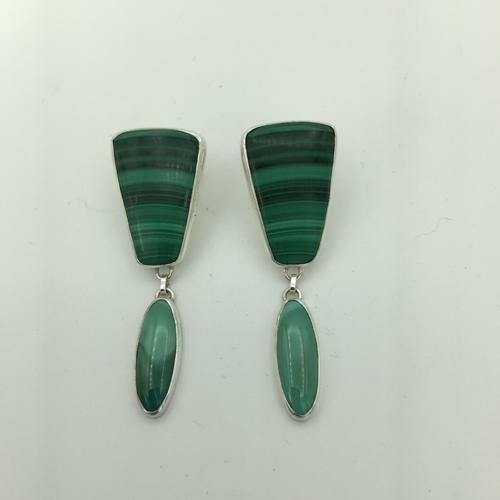 Beautiful arching layers of malachite are paired with green turquoise ovals. Set in sterling silver. 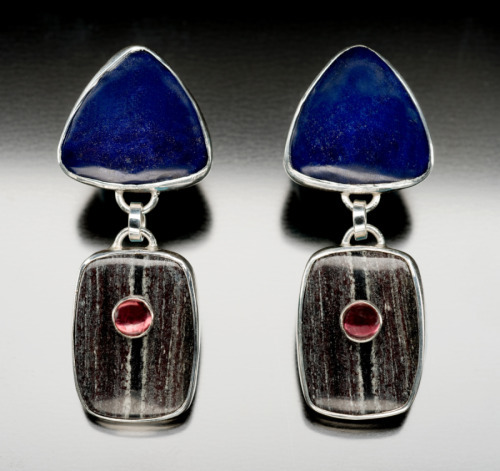 Luscious blue lapis lazuli is set in sterling silver and set off with amethyst pear droplets. 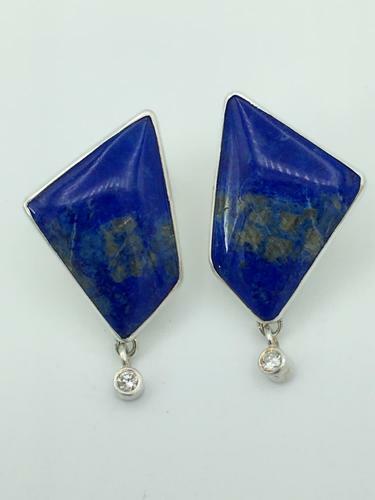 Lapis Lazuli stones are set off with 2.5 mm white diamonds for lots of sparkle! 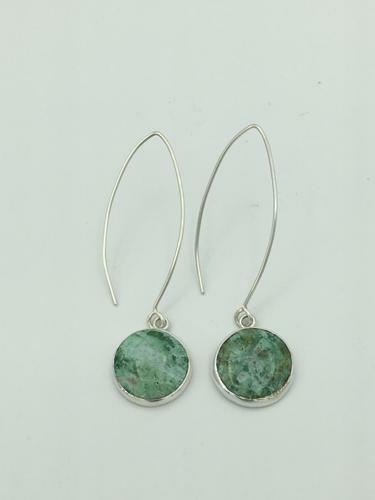 Soft milky green turquoise rounds are over 1/2 inch in diameter, and swing at the end of long French earwires.